Positivity guru Barbara Fredrickson, PhD is among the many influential academics who have researched the link between positive emotions and resilience. Have you ever experienced a challenging event and just rolled with it gracefully and easily? Chances are your emotional well-being leading up to the event influenced your ability to react so well. If you haven't experienced a success story yet, don't despair! As I will demonstrate in this and future articles, building positivity resources is a trainable skill and I am here to help you get started. Resilience during times of negativity and stress has been associated with favorable affects on heart rate, blood pressure and brain activity both in anticipation of, during and following stress (Fredrickson, 2009). In one study, Fredrickson's research team followed a group of 86 students over a 1 month period. Day-to-day measures of emotion were collected, and indicators of resilience were measured at the beginning and end of the study. This study found that a greater incidence of positive emotions throughout the month predicted higher scores of resiliency and life satisfaction at the end of the study. Another interesting finding was that both resiliency and positive emotions mediated changes in life satisfaction, essentially meaning that people who built upon their resiliency felt more satisfied with their lives at a given point in time. This study and others in the field have found that a high volume of occurrences of positive emotions is more important to long-term growth of resilience than is life satisfaction itself. In practical terms, these data suggest that cultivating and recognizing the momentary positive emotions in life, irregardless of wealth, status, or circumstance, can have a more productive impact on resilience in changing environments than increasing the emotionally inert (and more time-consuming and difficult to amass) measures of success such as material possessions. 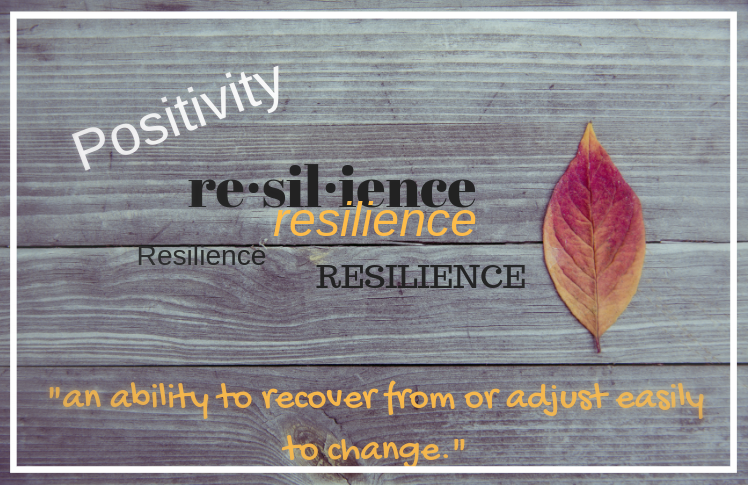 Resilience during times of negativity and stress has been associated with favorable affects on heart rate, blood pressure and brain activity both in anticipation of, during and following stress (Fredrickson, 2009). "Daily positive emotions predicted growth in ego-resilience, a psychological resource that has proved useful in dealing with both mild and severe stressors" Cohn, M.A., Fredrickson, B.L., et al. (2009). So what is the take-away? The practice of noticing positive experiences and emotions is good for us. Our hearts, brains, relationships, and life satisfaction are impacted by our ability to recognize experiences of love, connection, meaning, engagement and fun. I am not recommending that you ignore negative events (pretending bad things are good doesn't make problems go away), I am suggesting that you experiment with paying attention when things go right. Want to try it? I will be hosting a free community program on Facebook for military family members this Holiday Season. Join me as I experiment with these practices in my own life, try them out yourself, and join in the discussion as we savour the positive experiences this time of year offers. Sign up for updates on my website, get in touch with me (info@wellnesscoaching.ca), and join my Facebook page for details and to get involved. Fredrickson, Barbara (2009). Positivity: groundbreaking research reveals how to embrace the hidden strength of positive emotions, overcome negativity and thrive. Crown Publishers, United States of America. Cohn, M.A., Fredrickson, B.L. et al. (2009), Happiness unpacked: Positive emotions increase life satisfaction by building resilience. Emotion, 2009 June; 9(3): 361-368.